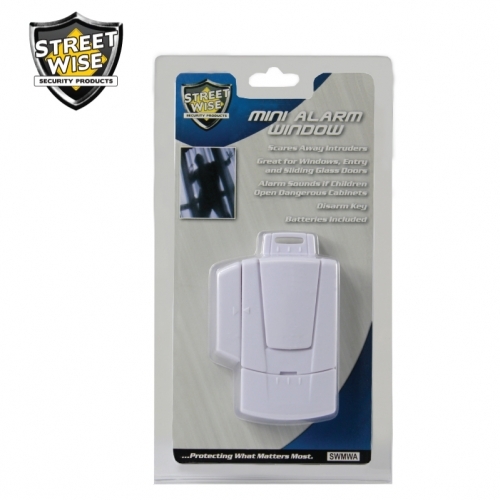 At only 2 1/2 inches long, this window alarm inconspicuously protects your home from intruders. This unit uses a magnetic sensor to detect the opening of a protected window. 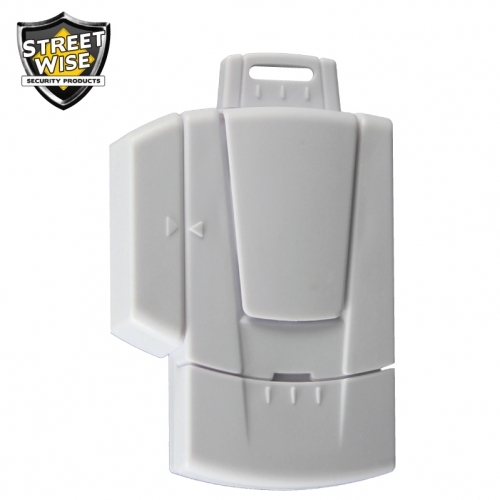 A 105 dB alarm will then alert you to an attempted entry and scare off potential intruders. 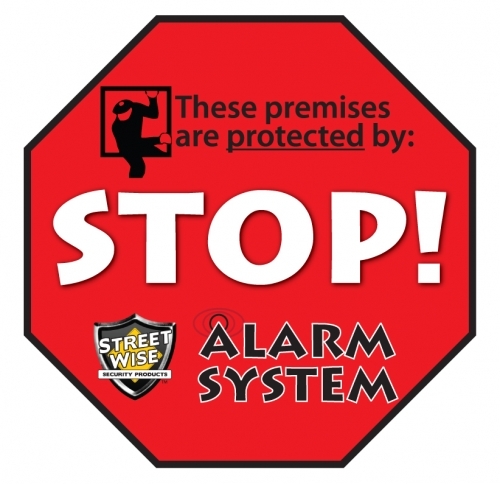 The owner may open the window or other protected object without setting off the alarm by inserting a deactivation key. 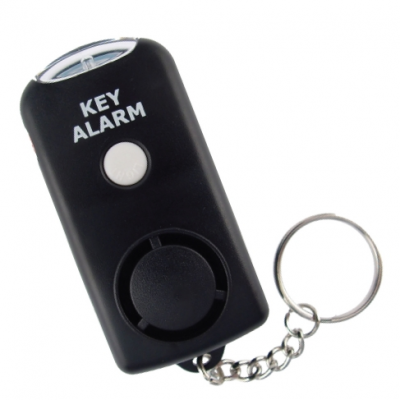 The alarm will sound until the key is inserted or the door or window is closed. 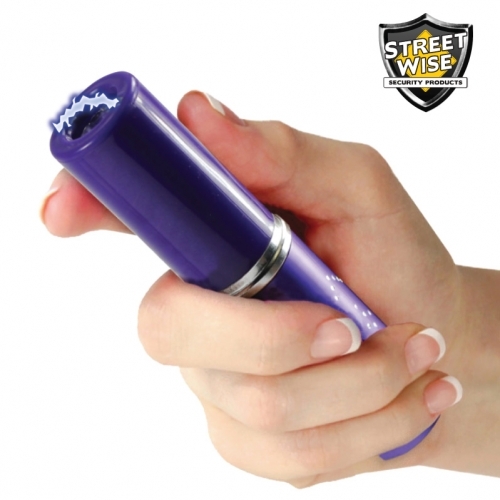 May also be used within the home to alert parents to children opening a gun or medicine cabinet. 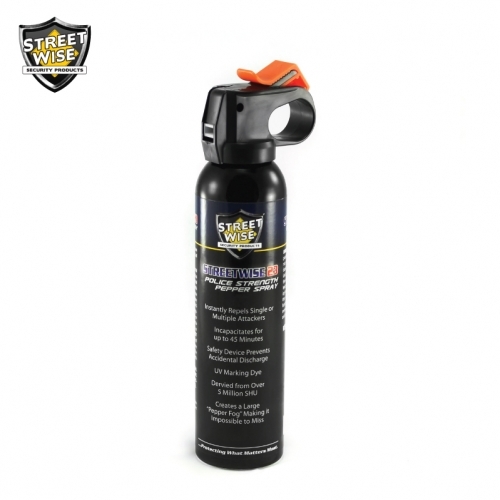 Commercial uses include showcases and cash registers. 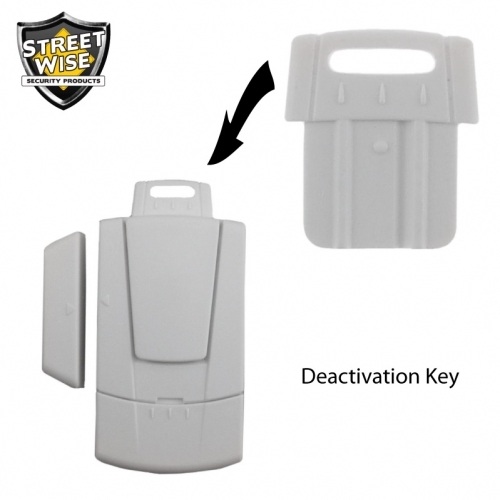 Dimensions: 2 and 1/2 by 1 and 1/2 by 1/2 inches (deactivation key adds 1/2 inch to height, making it 3 inches when key is inserted).